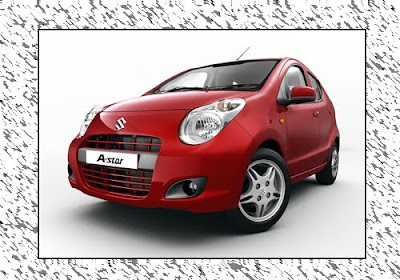 A very stylish and attractive gift for Indian car lovers by Maruti Suzuki guess what a very beautiful Maruti A-Star! 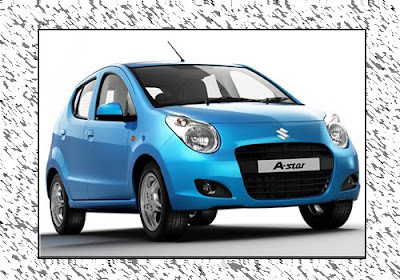 Stylish Maruti A-Star has got under the category of hatchback car body types. The New Maruti A-Star has really got beautiful looks to catch your hold. Maruti has other offspring's like, new upgraded Maruti Wagon R, Alto, Swift and Zen. In this scenario of tough competition it has got all the smart features and technology that will make difference. Maruti A-Star is the fifth strategic car model from Maruti Suzuki India Limited that has been designed for the global market. Presently, Maruti A-Star has three different variants in the Indian auto market that includes Maruti A-Star Lxi, Maruti A-Star Vxi and Maruti A-Star Zxi. All the variants of A-Star comes at an attractive price tag between Rs. 3.46 lakh to Rs. 4.11 lakh (ex-showroom-Delhi). Maruti A-Star is powered by 998cc, 3 cylinders, MPFi system and KB series engine that generates a top power output of 67 bhp at 6200 rpm while develops maximum torque of 90 Nm at 3500 rpm. The mileage of this car offered is around 14 km/l on city roads and 19km/l in highway. Maruti A-Star provides a sitting capacity to four people, equipped with McPherson Strut and Coil Spring type of suspension system this car is very efficient in handling the power sequence while on the drive. With front ventilated and rear disc type of brakes Maruti A-Star also offers a minimum turning radius of 4.50 mts. It is also equipped with five gears and manual transmission with a power steering added. On the other hand, Indian car lovers will see more launches in Indian that includes Skoda Yeti, Tata Aria, Nissan Micra and Volkswagen Vento.